Navigating the Bureaucracy: Pima County Zoning and Planning Boards — Sammartino Law Group, P.L.L.C. Board of Adjustment: The Board of Adjustment hears requests for variances, which are requests for permission to not conform with the zoning code in some way, i.e., if a property owner wished to create an addition to her house that would not be possible without encroaching into the mandated setback. The Board of Adjustment also hears requests for interpretations of the zoning code or appeals from a determination by the Zoning Inspector. Finally, this board has the power to grant temporary use permits, allowing the use of property beyond its permitted use under the zoning code for a limited time. 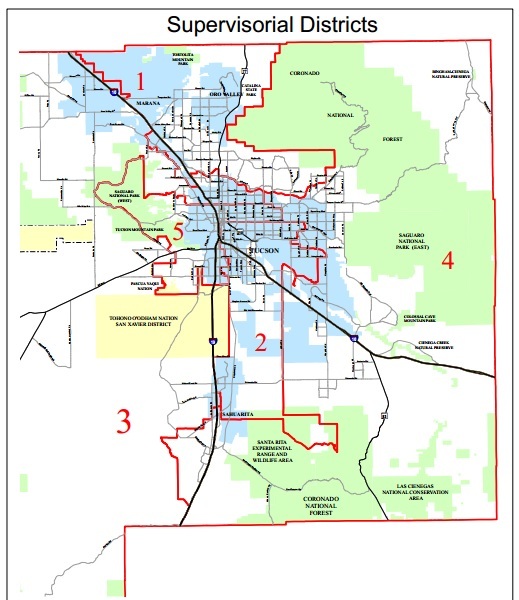 The Pima County Board of Adjustment has five districts, each corresponding to the district of a Pima County Supervisor. Hearing Administrator: The Hearing Administrator conducts public hearings on applications for conditional use permits. Conditional use permits (or CUPs) allow uses of property that are typically harmonious with the surrounding development but require closer examination before the use is permitted. Design Review Committee: The Design Review Committee (DRC) reviews proposed developments to ensure they meet the design standards for particular zones, such as an overlay zone or a historic district. The DRC can grant exceptions in addition to its compliance review duties. Planning and Zoning Commission: The Planning and Zoning Commission directly advises the Pima County Board of Supervisors. Rezoning requests are heard before this commission prior to a vote by the full Board of Supervisors. These four public bodies wield tremendous power and influence, and their approval or disapproval can make or break a project. The decisions of these boards have also a big impact on the larger community, so I will begin to compile a "Monthly Pima County Planning and Zoning Boards Update." Check back in this space for details of interesting projects and proposals affecting real estate in Pima County.